American Standard has been in the heating and cooling business for over 100 years. With such a long legacy they are known to provide not only superb quality products, but those that are affordable as well. As is the case with other top quality furnace suppliers, American Standard does not quote pricing of their products on their website. Here at the The Furnace Price Guide Website, we gather information from homeowners and professionals so we can provide up to date pricing and technical information for American Standard furnaces. Below we have compiled the average prices for American Standard electric, oil and gas furnaces, and also included links to other resources so you can find reviews and pricing information. American Standard is known for both quality and affordability that is sure to make customers happy. If you have recently purchased a American Standard furnace, we would love for you to provide the installation and cost information below. Table updated January 2019 with the most current American Standard 2018 – 2019 Furnace prices. Please note that every home has many items that could change how much you may pay for a new furnace or complete HVAC system. What we have provided are estimates only. More information about the American Standard company or what coupons, offers or rebates they are offering can be found at the links below. 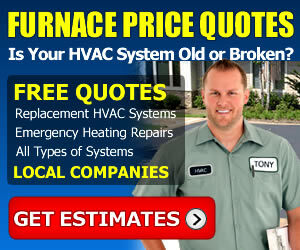 You will also find a convenient way to get several price quotes on furnace equipment and installation from qualified HVAC companies in your area. We appreciate all user submissions of the prices consumers have paid for their American Standard furnace or installation. Rest assured that no personal information will be included in our price comparison charts. We only provide the total price paid, location and details about the services performed. The main goal of the Furnace Price Guides is to help our customers determine estimated costs of furnace repairs and replacement. We accomplish that by sharing our professional HVAC industry knowledge of furnace prices from various brands and models. To learn more about HVAC Guides and our website, visit our company information page. The main goal of The Furnace Price Guides is to help our customers determine estimated costs of furnace repairs and replacement. We accomplish that by sharing our professional HVAC industry knowledge of both wholesale and contractor pricing from various brands and models. In addition to the main furnace types, we have a growing section for each of the leading brands on the market. Trane | Carrier | Lennox | Bryant | Goodman | American Standard | Rheem | Heil | Amana | Coleman | York and many others coming soon.